Music in the Park begins the last Thursday of June and continues every week to the second Thursday of August. 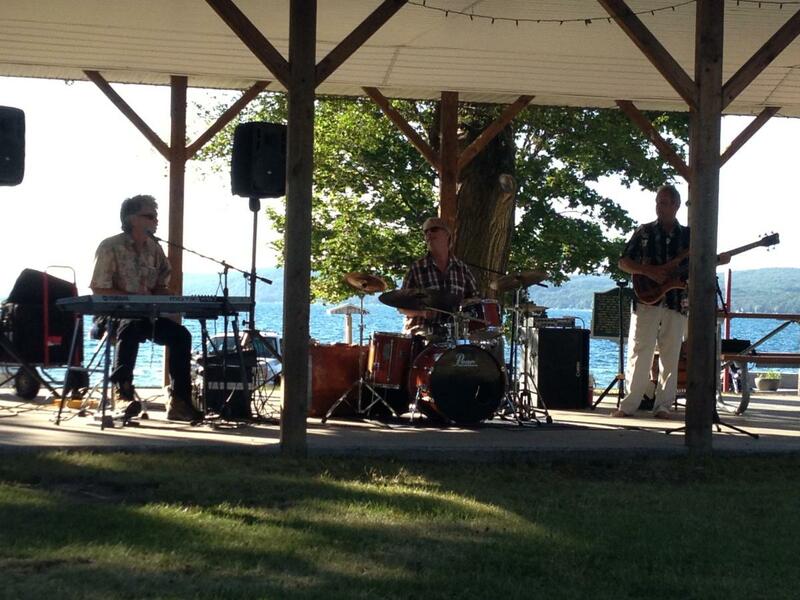 Musicians play at the pavilion in Beulah Park at the edge of Crystal Lake. 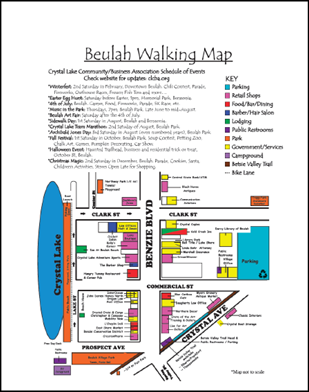 Enjoy a sunset over Crystal Lake while you listen to the sounds. 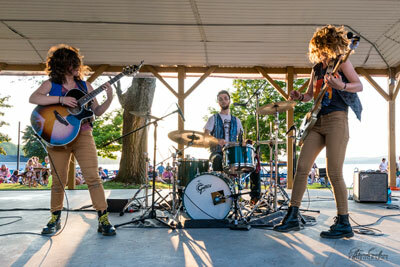 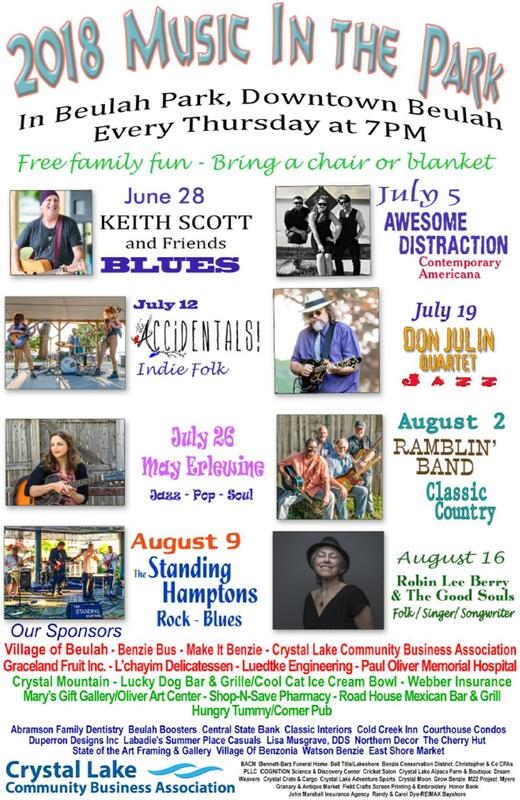 Music in the Park is a fun relaxing summer event each Thursday at 7:00 pm in Beulah Park. 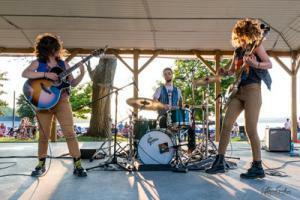 Be a Sponsor for Music in the Park.